St Johns Wort infused oil blended with Cherry Kernel Oil and Essential Oils of Peppermint, Lavender, and Eucalyptus for a very balanced muscle rejuvenatory actions and muscle support. 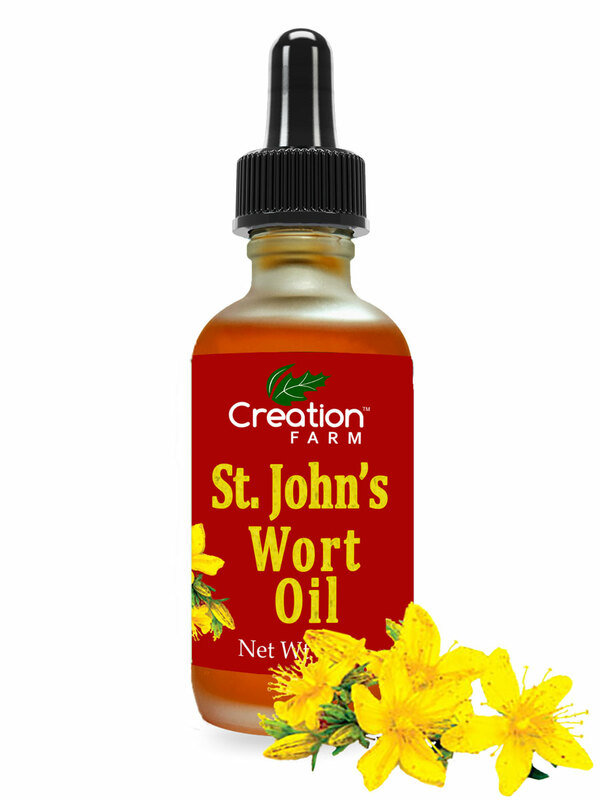 St. John's Wort Oil 4OZ. St John's Wort Oil is infused from the hypericum blossoms at just the right stage with the characteristic red color. Anti-inflammatory, particularly soothing to inflamed nerves, helpful for cases of neuralgia, sciatica and fibrositis. It is also useful in treating all inflamed nerve conditions: neuralgia, sciatica, firbrositis, etc. It is useful in treating sunburn since it actually lowers skin temperature. For sunburn it is also good to add Lavender essential oils. We have found that St. John's Wort oil with a few drops of Wintergreen added is the ONLY thing that will relieve the pain of gout. Please note that St. John's Wort Infused oil has none of the anti-depressant effects of the herbal extract. The Hypericum used to treat anxiety and depression does not come through the infusion process. The infused oil has the other valuable healing effects, however.